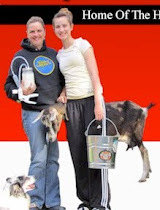 I milked by hand for many years but as my age progressed, my hands started hurting too much to enjoy milking my goats. 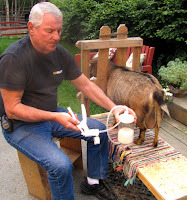 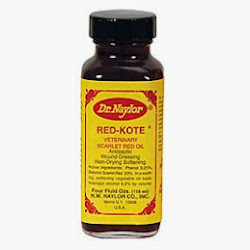 After searching the internet for a practical solution to my aches and pains, I set out to build my own milking machine from common materials found around my farm and in my shop. 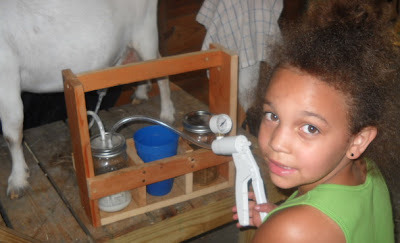 I had lots of quart canning jars, found an old used hand operated vacuum pump and some clear tubing. It took many attempts and lots of experimenting on my goat, Millie, but finally developed something that would actually milk my Millie as fast as I could hand milk and without the pain to my hands. 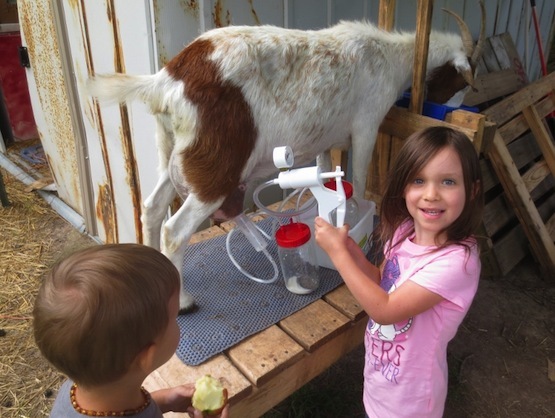 Thinking about raising goats for milk? There are many goat milk benefits including making goat cheese or learning how to make goat milk soap. 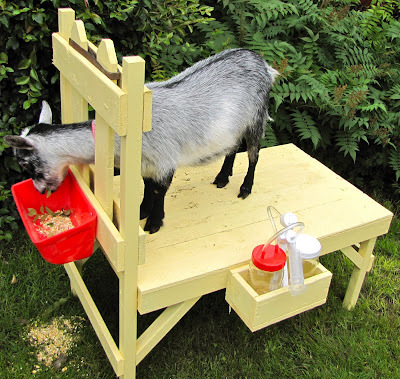 But there are a few things to consider about raising goats for milk before you take the leap.